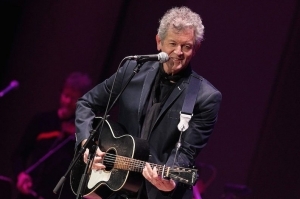 In August 1972, 22-year-old Houston-born songwriter Rodney Crowell first arrived in Nashville, a passenger in fellow songwriter Donivan Cowart’s 1965 baby blue Chevy Impala. Much as it is today, the city was experiencing a major growth spurt. Urban renewal, an interstate highway system and the changing face of the Music City skyline were among the factors contributing to Nashville’s growing pains. Music Row, which housed the country-music industry’s record labels and publishing companies, was cashing in on the “Nashville Sound,” the country-meets-pop production style perfected by producers Owen Bradley and Chet Atkins. A short distance away was an old house on Acklen Avenue, where starving artist — and stoned T.G.I. Friday’s dishwasher — Crowell, and his roommates, poet Richard Dobson and bass player Skinny Dennis Sanchez, would play music on the front porch with fellow Texas expats including Townes Van Zandt and Guy Clark. August marks 40 years since Crowell released his debut album. Click here for a look back at his career and influence in Country music.